Local boards of educations would be required to create referral protocols for students at-risk of suicide and policies against dating violence under a bill working its way through the House. House Bill 434 would also require school boards to develop and implement a mental health training program for school-based employees who work directly with students in grades K-12. 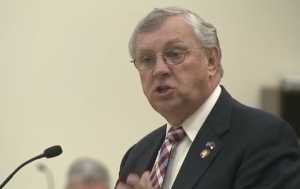 Rep. Craig Horn, a Republican from Union County, one of the bill’s co-sponsors, said many people probably would be surprised to learn that suicides among youth ages 10 to 15 have increased by 50 percent since 2015. Horn said such deaths are devastating to the families of the young victims. “I can’t imagine what it must be like to be a parent, or a brother or a sister and have to receive the news, or worse yet discover what happens when a child dies from a self-inflicted wound,” Horn said. 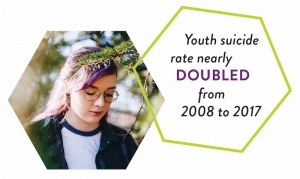 HB 434 comes nearly two months after the release of the 2019 version of the annual Child Health Report Card, which showed youth suicide in North Carolina has nearly doubled from 2008 to 2017. Suicide is the second leading cause of death for children ages 10-17, according to the report. It cited mental health issues, persistent stress, acute lose or rejection, bullying, childhood abuse, trauma, social isolation and family violence or disruption as key risk factors for suicide among youth. “What this bill [HB 434] does, is requires training of our teachers, the ones who have a close continuing relationship with kids, to be able to recognize the signs and hopefully help get these kids the help that they need,” Horn said. Nationally, suicide rate among young people between the ages of 10 and 17 increased 70 percent from 2006 to 2016, according to the most recent data from the Centers for Disease Control and Prevention. HB 434 appears to be a personal matter for Horn, who talked about his military service and how the profession at one time had the highest rate of suicide. Horn said he’s also seen the impact of suicide on families while serving as a member of a rescue squad, and how dating violence affects students while working as a school volunteer. He said suicide and teen dating violence are closely related. HB 434 received a favorable hearing from the House Education Committee and will move to the House Health Committee. Frank Iler, (R-Brunswick), endorsed the bill, but wondered how school districts would pay for teacher and staff training if the mandate becomes law. “Can we avoid the unfunded mandate label?” Iler asked. Horn said no additional money is provided in the bill to fund HB 434 mandates. Rep. Graig Meyer, (D-Caswell), said he saw the need for resources and strategies to address teen suicide and dating violence while working as a school social worker. Meyer said teachers are now asking for training in “mental health first-aid” so they can deliver basic mental health care to students in need.